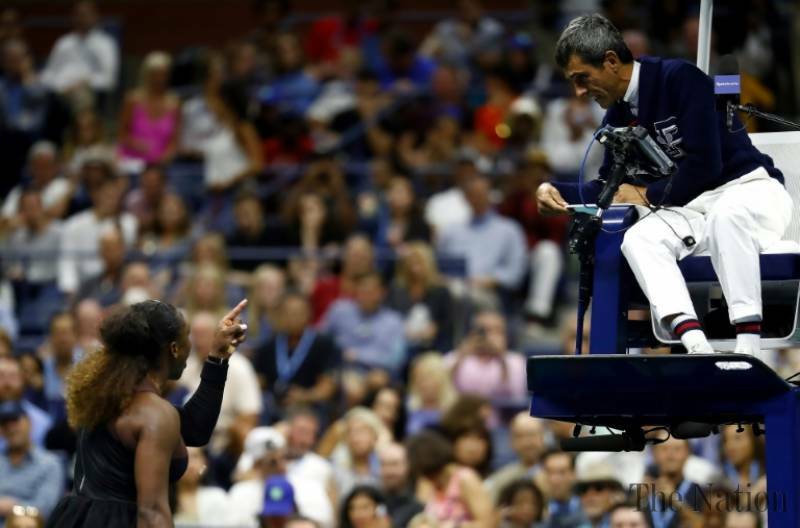 Williams’ heated exchanges with an umpire at the tournament final this week have stirred the tennis world.She was found guilty of code violations and fined US$17,000 — raising allegations that there are double standards for male and female players. In the cartoon the umpire is seen saying to Osaka “can’t you just let her win?”.Knight, who has a reputation for controversial cartoons, was pilloried from far and wide, including by a member of the US Congress and a large portion of the 22,000 people who commented on his Twitter post showing the drawing. Knight responded to the criticism by pointing out that he had drawn an unflattering portrayal of Australian male tennis star Nick Kyrgios “behaving badly”.”Don’t bring gender into it when it’s all about behaviour,” he said.